Back in 1948, the World Health Organization (WHO) proposed that the definition of health should be linked to well-being, not just the absence of disease. It was criticized for being too broad, too vague and impractical, but WHO was on to something. Many studies have found that patient care delivered with empathy and compassion results in better health outcomes. The World Economic Forum has noted that scientific literature is filled with examples of the power of compassion, from reducing post-operative pain and improving the survival chances of cancer patients to decreasing hospitalization rates for people with diabetes. The “Triple C” framework – compassionate, collaborative care – is fundamental to patient-centred care strategies and a positive patient experience. When you think of Canadian healthcare, however, does compassion come to mind? The Commonwealth Fund, a private foundation in the United States, publishes reports on the state of healthcare globally. Its 2017 report was sobering: out of 11 high-income countries, Canada ranked ninth. Why? Our health system fell short on several performance metrics, most notably access to healthcare (affordability and timeliness) and care process, which includes patient-centered care. It’s no secret that Canada’s healthcare system is under intense pressure, with skyrocketing costs, crowded hospitals, lengthy wait times and an aging population. We need to consider other options that take a more patient-centric approach, like providing care in patients’ homes and at community venues and by using technology more extensively. Home healthcare providers have a major role to play in this evolving landscape. At Bayshore HealthCare, we’re continuously looking for ways to improve our services and meet the needs of more Canadians. Here is an example of how we’ve integrated compassionate, collaborative care into our services with the help of telehealth technology. What is telehealth? It’s the remote delivery of healthcare using communications technology, including real-time audio and video. 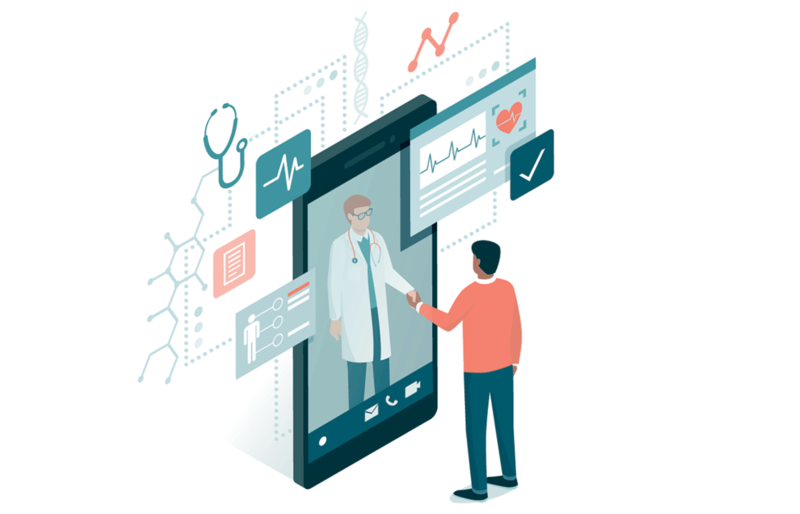 Telehealth is making it possible for patients and healthcare professionals to connect over great distances, and it has immense potential to relieve some of the strain on our healthcare system. Almost half of the people served by the North West LHIN live in the city of Thunder Bay. In addition, 21% of people in the LHIN’s region are Indigenous. Arthritis affects Indigenous people at a rate three times higher than average. What does this suggest about the needs of Thunder Bay and its surrounding area? In Northwestern Ontario, accessing medical care often requires long, precarious drives in wintry conditions. There’s just one rheumatologist in Thunder Bay, and patients must wait for months to see him. In the meantime, their conditions may get worse, causing additional pain, disability and stress. Studies have shown that early detection is critical in optimizing health outcomes. At Bayshore, we decided to address the challenge: how could we reduce the wait, as well as the time and expense of travelling great distances to see a rheumatologist? Our solution was to close the distance. We created a hub that includes telehealth technology, an advanced clinician practitioner in arthritis care (ACPAC), our clinic in Thunder Bay and partnerships with rheumatologists outside of the city. Through this setup, patients book an appointment for a preliminary screening. Eric, our trained ACPAC, examines the patient’s joints, makes notes and takes pictures to share with the rheumatologist. Then, with a video call, the rheumatologist works with Eric and the patient to conduct the screening remotely. At Bayshore, we believe in delivering care with compassion and creating special moments for our clients each and every day, whether at the bedside, on the phone or in the clinic. These moments inspire, change and encourage us. They are what we call the Bayshore difference. For more information about Bayshore Home Health, call us at 1-877-289-3997.